Text message length is up to 500 characters and you cannot continue typing once that's been reached. 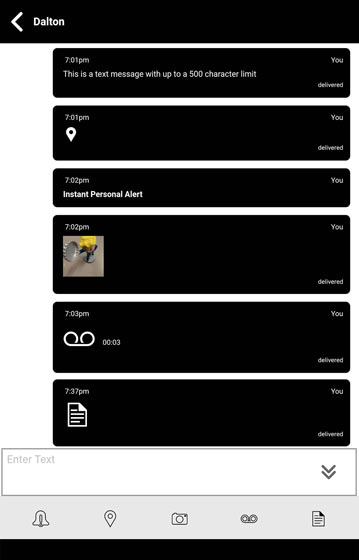 From the Ready screen, tap the Message icon . Alternatively, tap the History icon . From the Enter text field, enter your message. 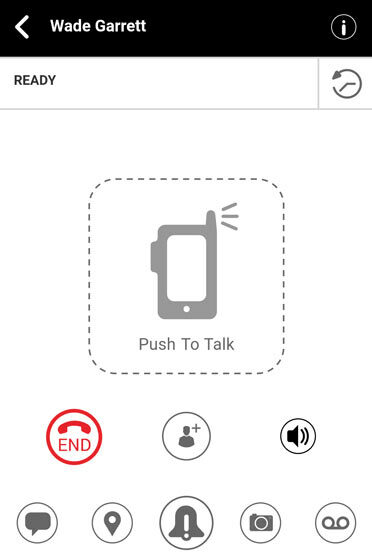 From the Enter text field, tap the Quick message icon . From Select Quick Text, tap the appropriate Quick text message then tap the Send icon . Alternatively, tap Add Quick Text, enter a predefined message then tap the Save icon to confirm and Done to exit edit mode.